Everyone knows red gummi bears are the best (scientific fact) so the Albanese Red Raspberry Gummi Bears are a welcome sight. Yup, a whole bag of just the red ones! These also happen to be the freshest and tastiest gumimi bears I've ever had, with a real raspberry flavour. I'm a cinnamon lover, but oddly enough had never tried Hot Tamales. I'm not sure how, but I have enjoyed getting to try these spicy little chewies. They're a great candy if you just want a little something, and the warmth stops you from eating the whole bag in one sitting. Sweet, chewy, and light. Three words to perfectly describe the Albanese Peach Rings. I love peach flavoured anything, and these certainly don't disappoint. They're super fresh and squishy. 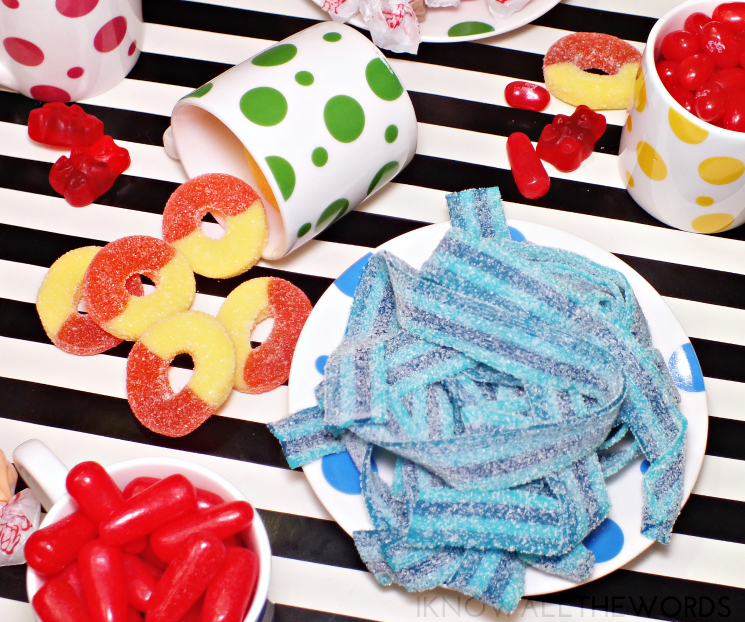 Sweet and sour fans are treated to the berry goodness of the Sour Power Berry Blue Belts. 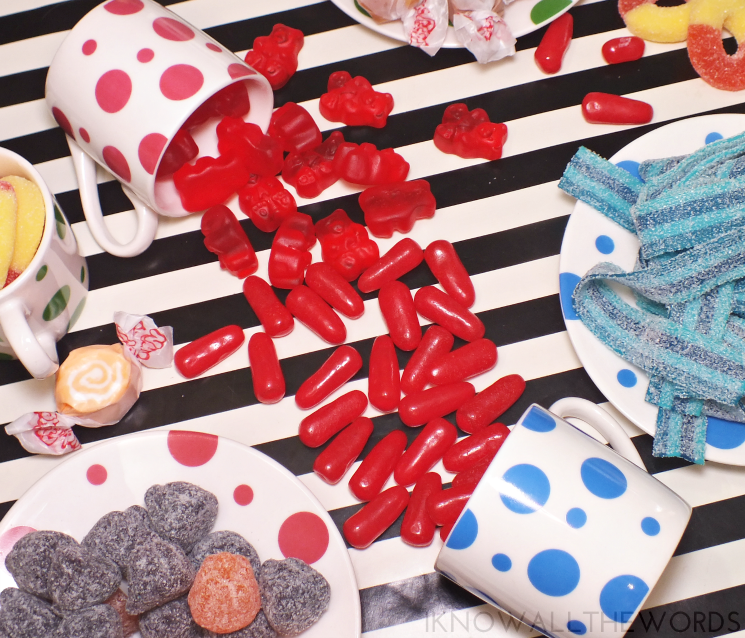 The long berry flavoured strips have the perfect combo of sweet and sour sugar. What is October with punkins? 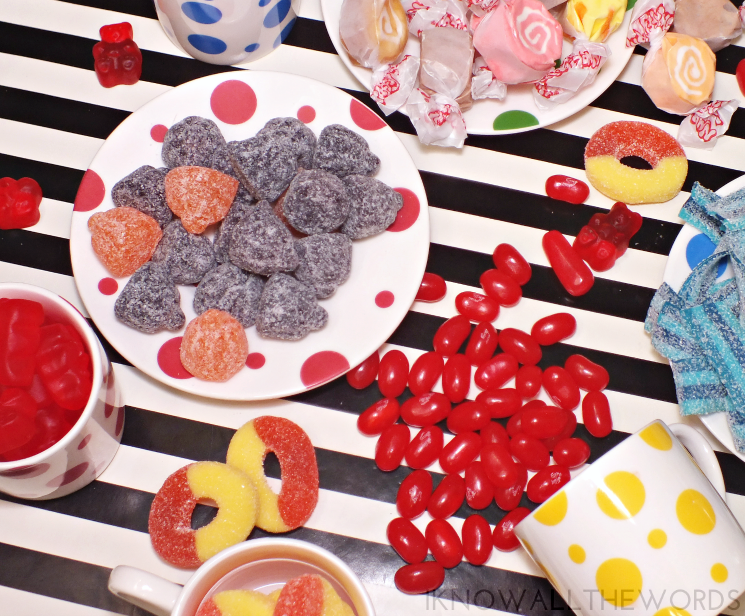 The Sour Pumpkins combine orange and grape gummies coated in sweet and sour sugar. They're not super sour, but have a nice little kick. Again, the red ones tend to the be the best, which is true with the Jelly Belly's in Very Cherry. A whole bag of just the cherry ones? yes, please! Last up, some Taffy Town Salt Water Taffy Mix. Unlike the other candies that come in zip top bags, these were scattered in the box like the tastiest confetti. The taffys are mildly sweet, with various flavours. Yum! 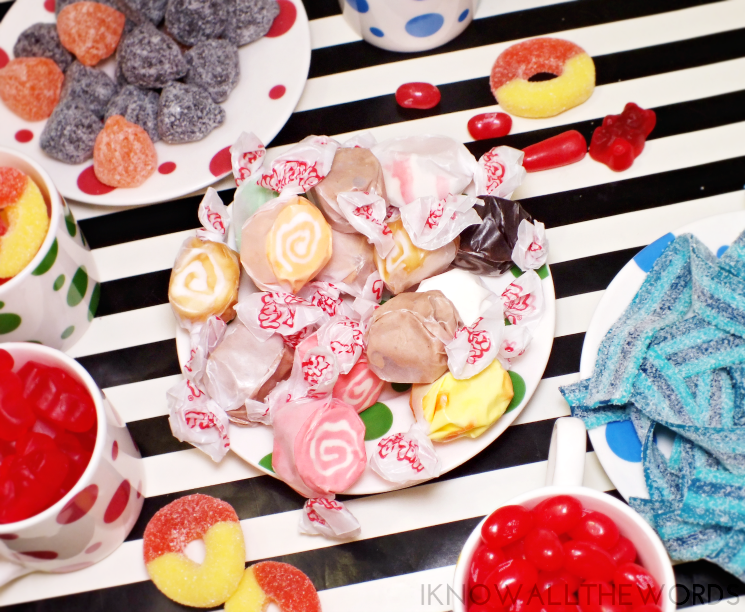 Overall, I'm a total fan of Candy.ca! 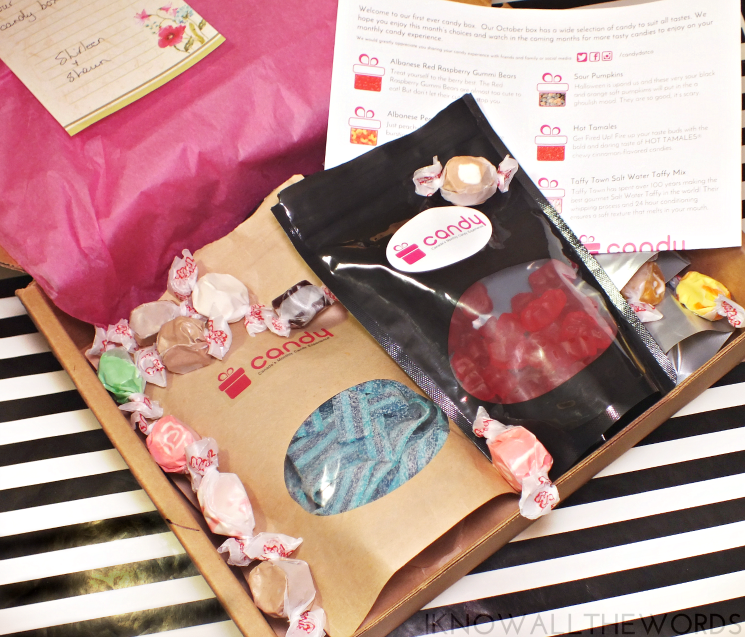 How can you not smile when you find a box of candy in your mail box? 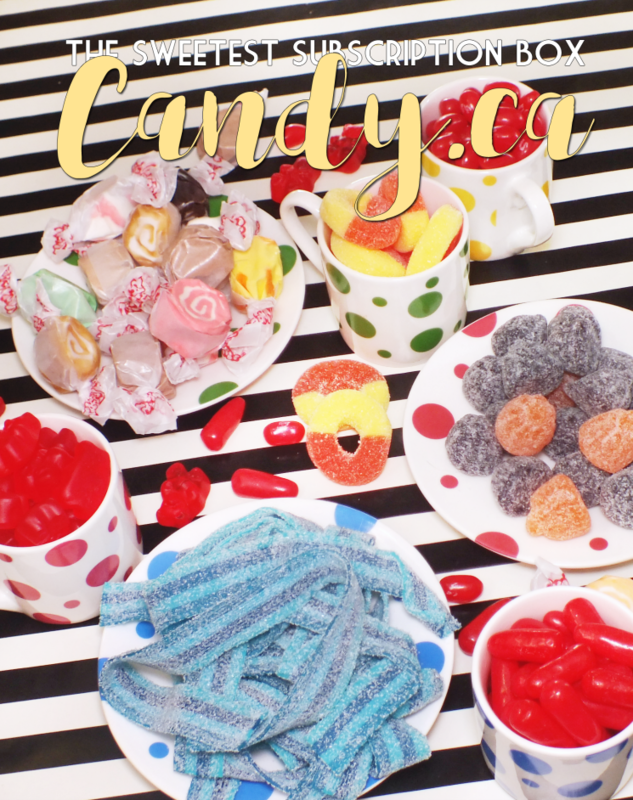 Candy.ca is currently only shipping within Canada, but they do have plans on expanding. As mentioned, you can subscribe in 6, 3 or 1 moth increments, with gift subscriptions also available. What do you think? Would you subscribe to something like this?